Set of door switches for Merrychef MD and MC series commercial microwave ovens. Part number: KIT17, Replaces Merrychef 30Z1176 microswitches. Each switch has 3 x 6.3 mm terminals. 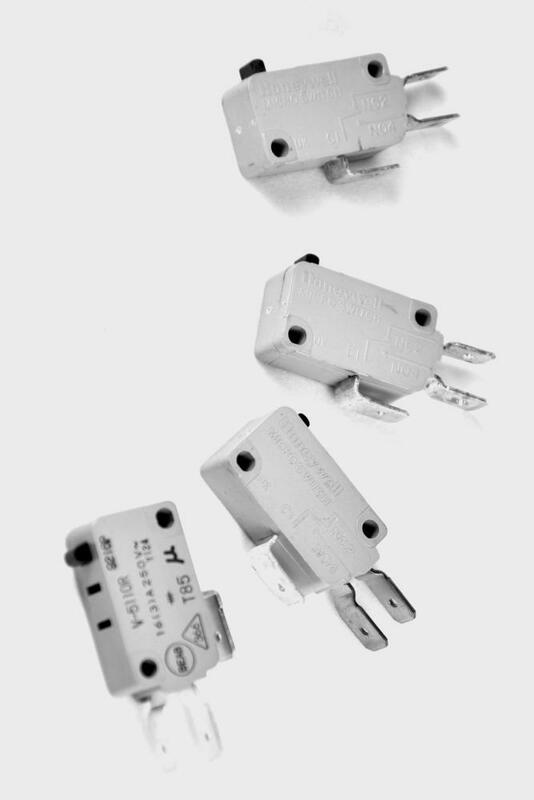 The microswitches are rated at 250 Volts, 22 Amps. Merrychef MD1800 commercial microwave ovens.